This week’s episode comes to you from the Maine Science Festival. You’re the Expert presents Dr. Kristy Townsend, a professor of neurobiology at the University of Maine. Dr. Townsend’s work centers around the relationship between diet and energy. More specifically, she’s studying the brain’s role in appetite, hunger, and energy. Dr. Townsend received her B.S. from the University of Maine, and her PhD from Boston University. 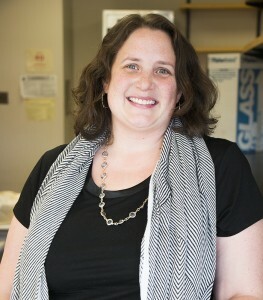 At the Townsend Lab, Kristy and her colleagues are trying to understand how obesity develops, as well as the brain’s role in fat production and the body’s release of energy by burning calories. Dr. Townsend’s research impacts many other areas of study including aging, neurodegenerative diseases, metabolic diseases and diabetes. Dr. Townsend’s research is all about the relationship between food and the brain, which affects everyone who eats food. While there is no cure for obesity and other food-related diseases, Dr. Townsend’s work emphasizes the importance of prevention when it comes to weight gain. Healthy eating is an efficient way to keep both the body healthy, and Dr. Townsend is shedding light on the impact of food on the mind.